Cliff Taylor was born August 15, 1929 in Archer City, Texas to Kittie Belle and Bob Taylor. He passed away January 19, 2016 at Oklahoma City, Oklahoma at the age of 86 years, 5 months and 4 days. Cliff grew up in Allison, Texas and graduated from Allison High School in 1946. After graduation, he furthered his education at West Texas A&M until he obtained employment at Bowers Ranch as the ranch foreman. He was later married to Charlene (Hamilton) Taylor at Allison, Texas on November 8, 1949. It was during this time Cliff began his career in the rodeo circuit riding barebacks and bulls. Cliff and Charlene lived in Wheeler, Texas while Cliff operated heavy equipment and always ran cattle, horses and shoed horses. In 1958 they moved to Reydon, Oklahoma and later Cheyenne, Oklahoma in 1960 where Cliff ran the Thurmond Ranch for Alex Inman and began taking his children to rodeo’s in the Oklahoma, Texas, Kansas, Colorado and New Mexico areas. 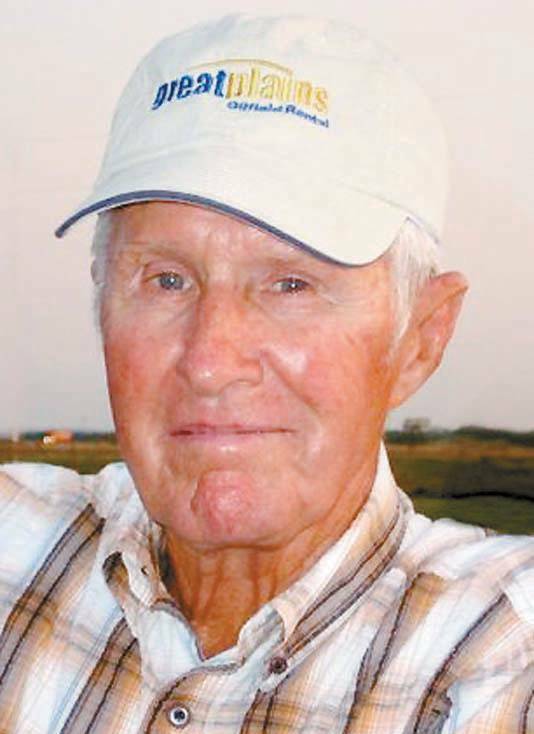 In 1963 Cliff moved his family to Berlin, Oklahoma where he began working for the Oklahoma State Department of Agriculture and continued with them until 1970 when he and Charlene moved the family back to the Bowers Ranch where he was the ranch manager and began his own livestock trucking operation and continued until 1985. During his tenure at the Bowers Ranch, Cliff bought and sold literally thousands of head of cattle. They continued to live on the Bowers Ranch until 1988 when Cliff became the cowboy boss at the feed lot in Wheeler, Texas. In 2006, Cliff semi-retired and moved to Sayre, Oklahoma and in 2012 went to work part-time for his lifelong friends the Hiram Begert family at D&D Salt Water Disposal and continued there until present. All throughout Cliff’s life he enjoyed running cattle and even though he was “semi-retired” worked every day of his life. The only thing Cliff enjoyed more than cattle and ranch life was family and spending time with his grandchildren and great grandchildren. He was preceded in death by his parents, daughter, Ginger Regina, sister, Doris Wickersham, brother, R.C. Taylor, grandson, Cord Taylor and a great grandson, Chance Taylor. He is survived by his wife, Charlene, of the home; 2 sons, Andy Taylor and wife, Julie, Sayre, OK and Monty Taylor and wife, Tina, Ft. Worth, TX; 7 grandchildren, Clint Taylor and wife, Kristy, Cade Taylor, Cole Taylor and wife, Kelly, Clay Taylor and wife, Chelsea, Cameron Taylor, all of Sayre, OK, Lauran Taylor and Lakan Taylor, both of Ft. Worth, TX; 9 great grandchildren, Cooper, Dailee, Preslie, Crockett, Allie, Calli, Maverick, Knox and Timber; 1 brother, Jack Taylor and wife, Friede, Melbourne, FL; 1 sister, Beverly Brannan and husband, Bill, Houston, TX and a host of other relatives and friends. In lieu of flowers, the family suggest memorial donations be made to the Trinity Fellowship Camp of Champions P.O. Box 452, Sayre, OK 73662.